This is a shameless re-use of a cartoon I drew for our May 2003 news. Now that we have a fleet of inspectors in multiple states doing inspections, it seemed appropriate to resurrect this one. 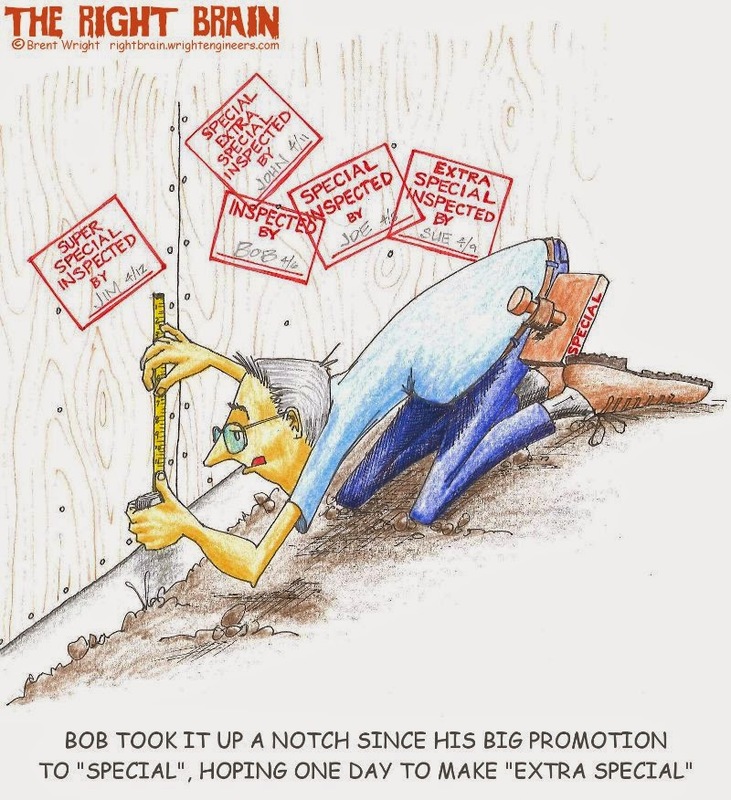 I've been told that this cartoon has found its way into the cubicle of more than one inspector. Success!